This is the Monroe dress from the NEW 2019 Stephanie Allin Love Stories collection. I bought this beautiful dress from the London boutique and loved every moment of wearing it. 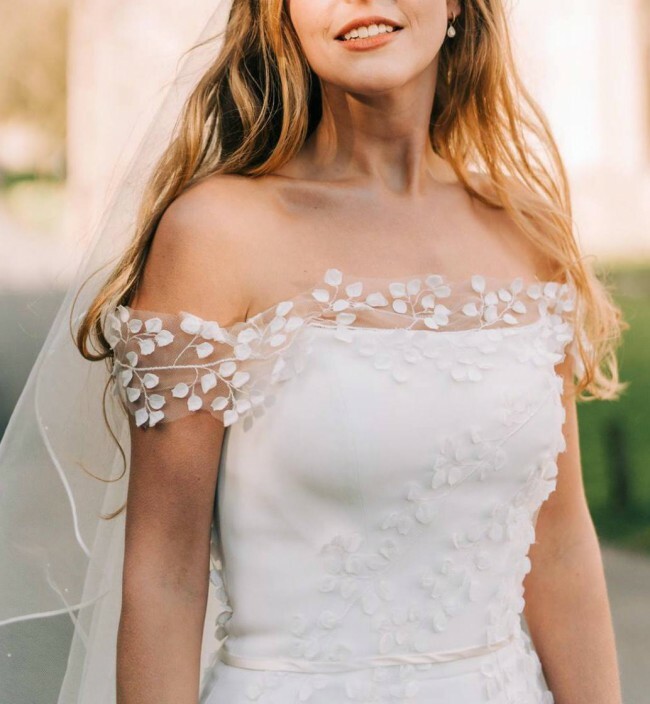 Having hunted for a dress that wasn't 'lacy' or 'too plain' this was the perfect answer with delicate wisteria detailing across the shoulders and down the body. It's made of high quality crepe that fits and flatters but doesn't cling. I received so many compliments about this dress and would love for it to be worn again. Stephanie Allin say: Monroe is one of our 2019 show stoppers. With it’s incredible silhouette and its soft crepe fabric, what’s not to love?! 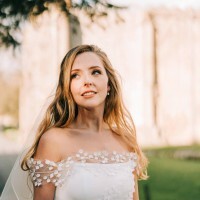 The pretty petal neckline detail adds a real softness and femininity to the straight across design and the train adds drama to an already memorable dress! Details: I am 5'6" with 3 1/2" heels on the day. It was made to fit so about a UK10-12 in high street sizing. The dress is boned and has cups sewn in so that the dress can be worn without a bra but these can easily be altered by a seamstress if you need. 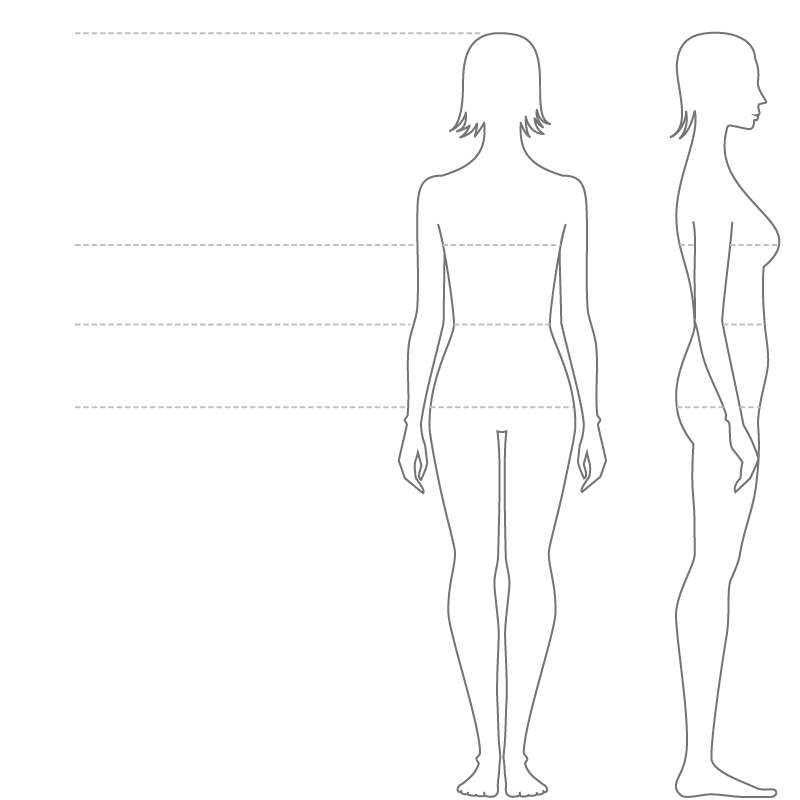 There is 2 inches of material on the chest that would enable the bust size to be altered to 32 inches by moving the buttons. I have had this dress professionally dry cleaned - there are a couple of marks to the hem that haven't come out this time. These could be easily removed if the hem/ train is altered. I am happy to send photos and answer any questions. Once you send a message, Katherine can invite you to purchase the dress.